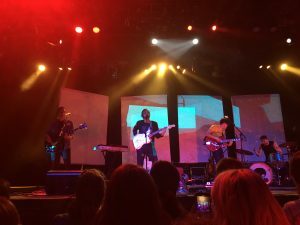 Last Tuesday night in Philadelphia, Shakey Graves performed at the Fillmore, accompanied by the Wild Reeds. 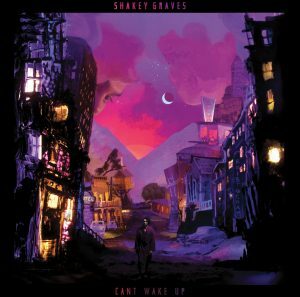 Alejandro Rose-Garcia, an Austin-born native who renamed himself Shakey Graves in 2007, released his most recent album, Can’t Wake Up, in early 2018. 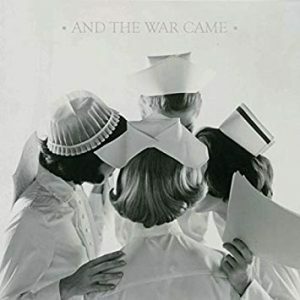 In December of 2017, Shakey Graves posted on twitter “Next album. New sound. Sell your Suspenders.” Diverging from his traditional sound of folksy guitar and suitcase drum, Shakey Graves has explored a more risky, eccentric sound that molds his past with new experimental harmonies, themes, and colors. This 13-track album includes similar on-going themes by Rose-Garcia, such as the difficulty of love, fighting the contradictions of everyday life, and, most importantly according to him, blaming problems on other people. 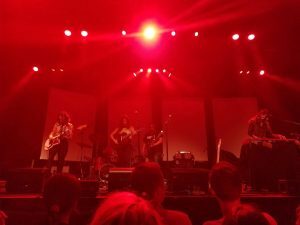 At the Fillmore on Tuesday, Rose-Garcia gracefully melded songs together to create a seamless performance. The mixing of songs old and new brought out the true fans in the crowd, who sang every word along with the 4-piece band. Not only was the sound perfectly thought-out and exciting, Rose-Garcia’s presence on stage magnified the eccentricity of the show. Shakey Graves’ songs have such character, and this is made obviously when one finally sees the Rose-Garcia perform. His facial expressions, movement on stage, and individual edits and reforms he makes to each song to better match his and the audience’s mood reflect his sense of self on stage. These small acts make the show that much better. Shakey Graves’ new album consists of popular hits such as Kids These Days, Counting Sheep, Mansion Door, and Excuses. 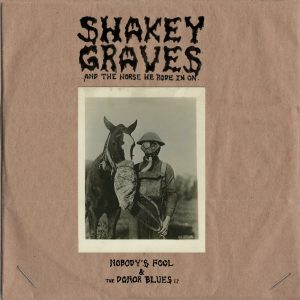 His notable songs from Shakey Graves and the Horse He Rode In On (2017) are Nobody’s Fool, War Horn, Pay the Road, and If Not for You. Notable songs from And Then the War Came (2014) are Family & Genus, Perfect Parts, Only Son, Dearly Departed and Hardwired. Shakey’s world tour continues throughout the year with the Wild Reeds. His music can be found on Spotify and his website shakeygraves.com, and his instagram handle is @shakeygraves. His music will shake you from beyond the grave! Written by Julia Ormond (’19). Listen to my show, Tall & Small, Thursdays at 7pm where I play Shakey Graves and music like his!